Rob focuses his litigation practice on class actions, involving ERISA, insurance, false advertising, commercial, construction and products liability matters. He regularly represents employers/plan sponsors, plan administrators and insurers in ERISA and fiduciary litigation involving health and welfare benefits, retirement benefits and compensation plans defending claims brought by individual participants or beneficiaries. In addition, Rob focuses his practice in defending food and beverage clients and retailers in class actions involving allegations of unfair competition and false advertising. He has extensive experience litigating cases involving business torts, bad faith, contracts, construction disputes, trade secrets, products liability and mass torts. Rob is admitted to practice in California, Montana and Washington and regularly represents clients in those jurisdictions. 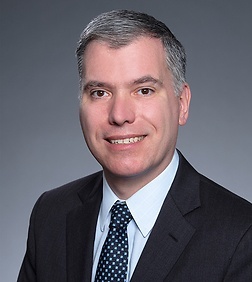 Rob is co-editor of the LexisNexis Practice Guide: Washington Contract Litigation (2016) and the author of LexisNexis Practice Advisor articles on Trade Secret Misappropriation: Elements, Remedies and Defenses and False Statements, Defamation and Trade Libel. He is co-author of "DOL Final Fee Disclosure Rules May Have Consequences for Fiduciaries Beyond Fines - Could Result in Increased Litigation and Government Enforcement," appearing in Bloomberg BNA's Pensions & Benefits Daily, "ERISA Fiduciary Claims: Planning, Protecting and Preparing for Class Actions," appearing in the Employee Relations Law Journal. Rob has received an AV® rating by Martindale-Hubbell®, the highest rating an attorney can receive for legal quality and ethics. He is a member of the Board of Bar Examiners of the Washington State Bar Association. Rob is a Co-Chair of the San Francisco Recruiting Committee and Co-Chair of the firm's Out at Sheppard LGBTQ Group. Represented beverage retailer in false advertising class action. Prevailed on motion for summary judgment. Represented specialty foods manufacturer in false advertising class action. Prevailed on motion to dismiss. Obtaining a directed verdict and achieving dismissal of all remaining claims at trial on behalf of consumer products client, including dismissal of causes of action for unfair competition under the Lanham Act, defamation and tortious interference with business expectancy. Represented beverage retailer in false advertising class actions. Prevailed on motion to dismiss. Serving as primary counsel and obtaining a dismissal of claims in a breach of fiduciary duty matter against ERISA fiduciaries and trustees. Serving as primary counsel to an electrical products distributor in class action litigation arising from damages caused by allegedly defective in-wall heaters. Obtaining dismissal of numerous claims and negotiating a favorable settlement on behalf of the manufacturer of siding in litigation brought by the developer and owner of a newly constructed 286-unit residential development over claims of design and manufacturing defects, fraud, misrepresentation and breach of warranty. Filing suit and achieving a prompt and favorable settlement on behalf of a client whose trademarks were being used by a competitor as ad-words or keywords in online advertising. Representing the owner of three recently-constructed apartment communities in Northern California in litigation against the developers, design professionals, general contractors and specialty contractors arising from profound design and construction defects from investigation of the defects through successful resolution of claims at mediation. Advising in a commercial dispute arising from the expulsion of a minority shareholder from a closely held professional corporation. Obtaining summary judgment and dismissal of a claim for benefits under an ERISA-regulated employee welfare benefit claim over assertions of conflict of interest and breach of fiduciary duty. Obtaining summary judgment and dismissal of wrongful foreclosure and consumer protection act claims against a residential mortgage lender and argument before the Court of Appeals. Representing the former owner of contaminated sites in litigation arising under Washington's Model Toxics Control Act; achieving dismissal of certain claims and negotiating a favorable settlement. Representing a condominium homeowners association in arbitration of the owners' claims for misrepresentation, negligent design and construction following the conversion of the property from apartments to condominiums. Representing the board of directors of a 110-unit residential cooperative in arbitration against the design and build contractor of heating and ventilation systems and achieved a favorable settlement on behalf of the cooperative. Serving as primary counsel in bad faith and breach of contract litigation arising from claims under a disability income policy and obtaining summary judgment on behalf of the insurer. Serving as a member of a trial team that obtained a defense verdict in class action products liability litigation involving home heating oil. Obtaining summary judgment and dismissal of unfair competition and trade secret claims of competing chains of health clubs. Resolving successfully a class action under the Telephone Consumer Protection Act. Negotiating a favorable settlement in litigation involving the Uniform Trade Secrets Act. Successfully resolving a catastrophic personal injury claim on behalf of a snowboard binding manufacturer in a products liability matter.